Central Glass Works was formed from a former company called the Central Glass Company. The Central Glass Company was established in the late 1860s. 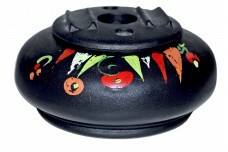 This company made bottles, lamps and pressed and blown tableware. During the 1880s the United States Glass Company purchased the Central Glass Company, but due to lack of natural glass supplies and labor troubles they soon shut the plant down. In 1895, Nathan Bay Scott and several Wheeling businessmen acquired enough capital to reopen the plant. The plant which was now known as Central Glass Works is the one that Depression Glass enthusiast are the most concerned with. Central Glass Works (often called "The Works") survived for 44 years before closing its doors for good in 1939. The tough Depression years took their toll and The Works could not survive rising fuel and production costs. 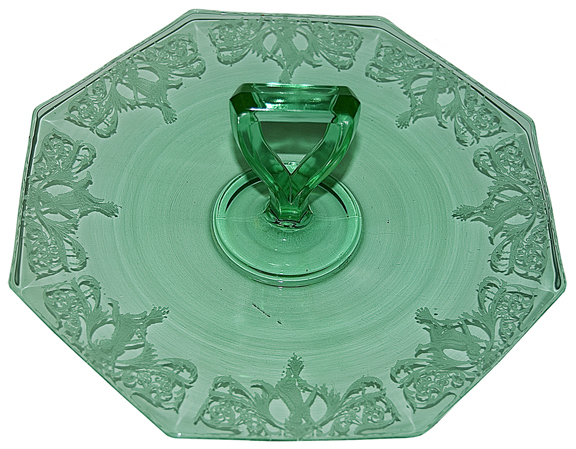 Although not as well known as many of the larger Depression Glass companies, Central Glass Works made many beautiful pieces. They designed some beautiful etchings. Harding is one of their better known etches. It was the choice of President and Mrs. Harding during their term in the White House. The Works was famous for its abundant stemware lines. They also produced many console sets. Their candlesticks can be found in pink, green, crystal and amber. 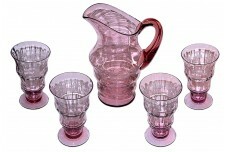 Some of these sets were produced in stretch glass colors as well.